We want to re-do our beer section at our Ballwin location. All beer is on sale and priced to move! Come and get it while supply is best! Missouri state law does not allow us to post the discount, check store for details. All of the Critics agree 2010 is a watershed vintage for Brunello di Montalcino. All of our pre-orders are finally starting to land and we have an amazing array of 2010 Brunello for now, though many are selling out fast. 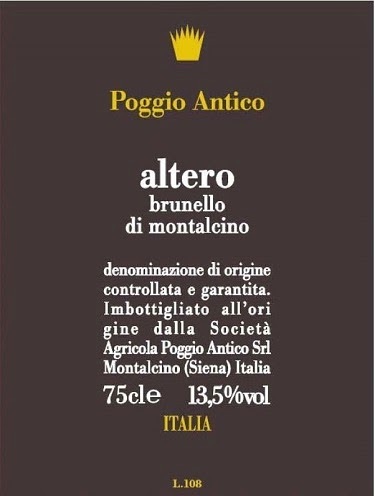 A beautifully balanced and subtle Brunello with plum, berry, spice and fresh mahogany character. Full to medium body, fine tannins and a long finish. Very intense and harmonious. This is always a beauty. I love the subtle aromas of rose petal, dark fruit and perfume that follow through to a full body, with fine tannins and a beautiful finish. It's very fine and pretty. Savory and delicate. Such finesse here. The outstanding 2010 Brunello di Montalcino gives you everything you want to see in a great wine, a great Tuscan wine. This monumental expression of Sangiovese delivers top-notch intensity with seamless integration of aromas. They span from dark fruit and Morello cherry to chocolate, spice, licorice, balsam herb and rosemary sprig. The energy and vitality of the vintage is locked perfectly within. 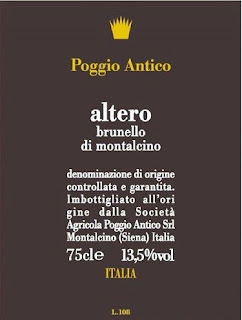 This Brunello exhibits especially soft, silky tannins with long persistence and momentum. There is nothing out of place and the price tag is certainly not exaggerated for this level of excellence. (call for reservations on this one 314.727.8788)The 2010 Brunello di Montalcino Tenuta Nuova is a protagonist of the vintage. The fruit is deep and dark with rich levels of extract, intensity and flavor. It goes far beyond your standard cherry and blackberry to include plum cake, spice bread and bacon-wrapped prune. Nothing is obvious or monochromatic about this wine. Everything is nuanced and ethereal. Tenuta Nuova is also distinguished by the linear mineral notes that are characteristic of this single-vineyard site. In 2010, those traits are especially well-defined and pronounced. The tannins reach a level of suppleness that is almost impossible to find in the sometimes prickly and acidic Sangiovese grape. If there is one thing Giacomo Neri has mastered, it is harvesting at optimal ripeness: He knows his property and his vines better than most and it shows. Collectors will want to put this wine aside ten years or longer. Beautiful and delicate from the start, the 2010 Brunello di Montalcino Vigna di Pianrosso impresses for its depth and balance. The wine sees one more year of oak cask aging compared to the base Brunello and you can definitely sense the extra spice on the nose. Those delicate balsam notes of root beer, ginger and rosemary oil are still prominently on display. Rich spice, leather and tar are followed by dark fruit, prune, blackberry and cassis. 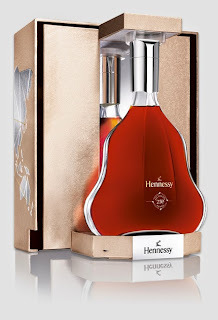 The finish is graceful and silky, but its length remains impressive. This is a terrific effort that promises a steady evolution ahead. The 2010 Brunello di Montalcino will blow you away. This is a delightful expression that boasts its extreme quality from the minute the wine is poured from the bottle. As you should expect, it just gets better and better with each additional minute in the glass. It opens to a vibrant dark ruby color and blackish-garnet hues. The bouquet is ever changing and shows a long succession of aromatic characteristics that rage from dark fruit, plum, spice, leather, licorice, red rose, balsam and grilled herb. It's textbook Brunello from a great vintage and this side of the appellation (on the northeastern side) performs fantastically in 2010. This beauty should hold fifteen years or more. So much fruit and richness to this young Brunello with blueberry, dark chocolate and sea salt character. Full body with lots of rich fruit and layers of ripe tannins and character. Long and intense. Just added to our freezer at the Forsyth location! 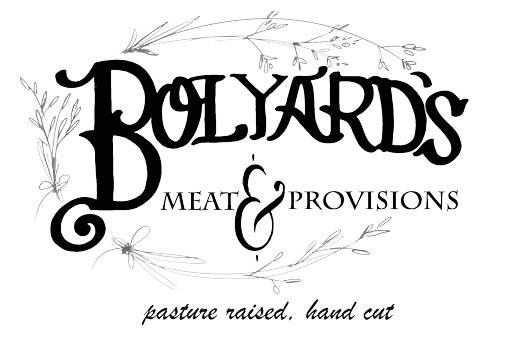 If you haven't been to Bolyard's Meat and Provisions you need to make a trip down to Maplewood to see Chris and his crew. We are excited to be able to offer Bolyard's amazing Stocks, Lard and Beef Tallow. The stocks are all made from scratch, just bones and water, they make and amazing base for soups and sauces, remember season to taste as no salt is added. Beef tallow has a very high smoke point and is great for frying (I made Chicken Piallard fried in tallow earlier this week and it was amazing) and the lard is perfect for pie crust. Tallow has a high smoking point and is an excellent choice for grilling, sauteing and frying! Lard is perfect for helping to achieve a rich piecrust or flakey biscuits, it is wonderful for sauteing as well! Lard chills well and doesn't break down as quickly as butter while baking and is rich in flavor. More cans for your weekend! 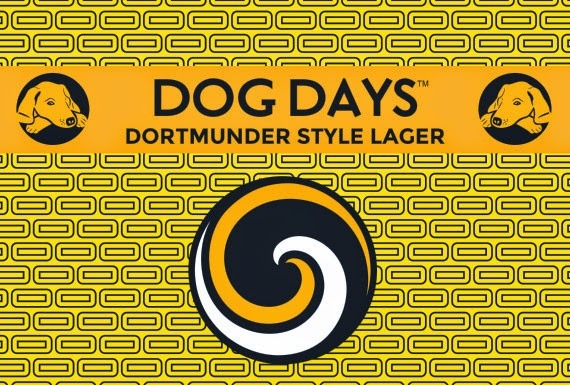 Brewed in the style of Dortmund, Germany, this golden lager has a delicate caramel malt character balanced by a light body and mild German noble hops, creating a crisp, refreshing finish. With nice malty sweetness and a soft aroma of clove, vanilla, and banana, this German style hefe weizen is unfiltered for a glowing orange haze. In stock now at Forsyth. Two Boots is Abita's first ever callaboration brew. We chose to collaborate with Birrificio del Ducato, an award-winning craft brewery located in Parma, Italy known for using natural and local ingredients. 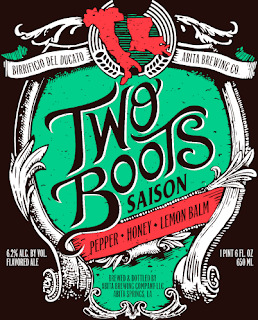 Appropriately named for the shape of Louisiana and Italy, Two Boots is a Saison brewed with peppercorns, lemon balm and honey. 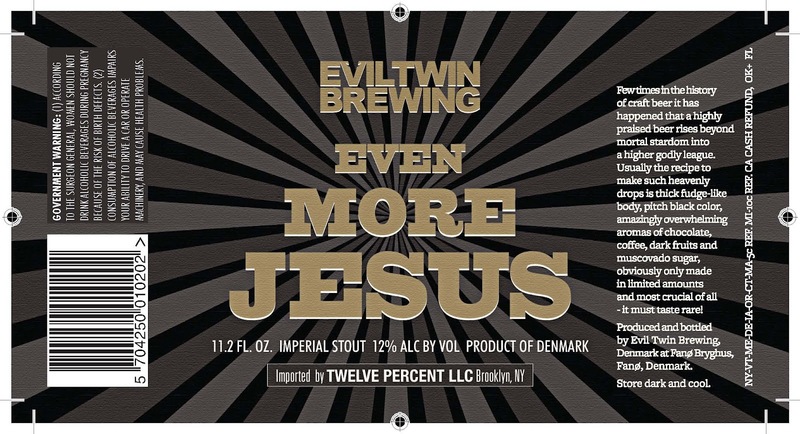 This beer uses pilsner and wheat malts and is hopped with German Perle hops. We used raw honey from a local producer, Blood River Honey, to give the brew a very dry finish perfect for a Saison. 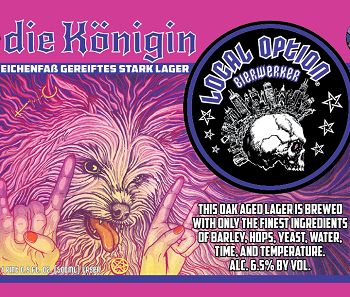 The addition of the lemon balm, green and pink peppercorns enhance the overall flavor of the brew. The honey is added in the brewhouse at the end of the boil and hte lemon balm and peppercorns are added in the aging tank. 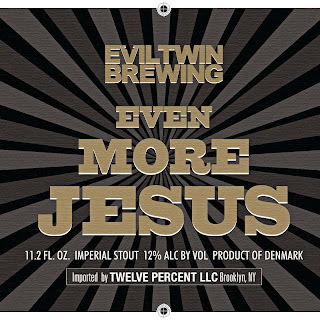 The result is a very balanced beer with the flavors of the malted barley, wheat, hops, yeast, herbs and honey all blended together for a refreshing brew. Anchor Brewing Summer Wheat in CANS! Released each year in advance of the summer season, Anchor Summer Beer (4.5% ABV) is an all-malt beer, with over 50% of its malt derived from malted wheat. It is fermented with a traditional top-fermenting “ale” yeast, yielding a clean, balanced flavor that highlights the refreshingly light flavor of malted wheat. The head is unusually abundant due to the natural protein deposits of wheat, with a thick consistency similar to meringue. For beer lovers, Anchor Summer Wheat is a lighter brew that doesn’t sacrifice tradition or character. First brewed in the summer of 1984, Anchor Summer Wheat is the first American wheat beer to be brewed in modern times. Today Anchor Summer Wheat still boasts a crisp, clean and refreshing flavor, just as the very first batch did when brewed in 1984. Now available in summer-friendly packaging, Anchor Summer Wheat cans are perfect for enjoying with the season’s outdoor activities. Back in stock at Fresh. It has been awhile since they have been this fresh. Just in time for the holiday! 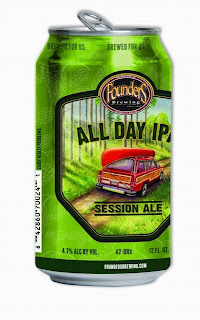 Founders All Day IPA....$16.99 / 15 pack cans! All Day IPA is a 4.7% ABV session ale, brewed with Simcoe and Amarillo hops and measuring out at 42 IBUs. We set our minds to brewing this beer because we wanted an American IPA that worked with an active lifestyle. It has won numerous awards, including a silver medal in the session beer category at the GABF in 2010 under a working name and, most recently, a 2014 Good Food Award. Each store carries a different selection come check it out and ask for free taste. Everything is cut fresh to order. Brillat-Savarin is a triple cream dessert cheese that was created by cheese-maker Henri Androuët in the 1930s. It is named after 19th century gastronome and epicure, Jean Anthelme Brillat-Savarin. 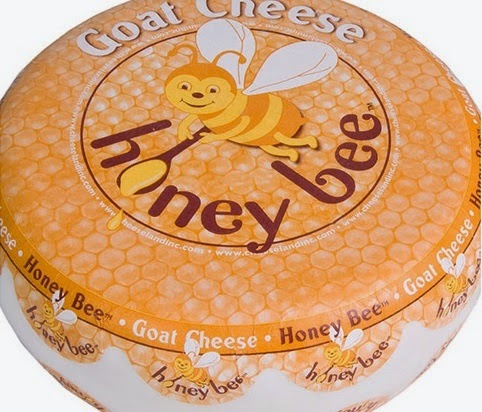 It is an industrial cheese produced by three dairies situated in the Ile de France region. Since classified as a triple cream cheese, Brillat-Savarin has a fat content of at least 75% achieved by adding rich, luscious cream to whole milk. Young cheeses taste similar to fresh cheese but usually they are matured for about four to five weeks to develop more complex flavours. A matured Brillat-Savarin has a typical white, bloomy rind with an interior paste that is buttery-white in colour. The texture is dense, moist, and slightly chalky with enough lusciousness and creaminess for a triple cream cheese. Flavours are of butter, salt and cream with hints of mushroom, nuts and truffles. Each store carries a different selection come check it out and ask for free taste. Everything is cut fresh to order. 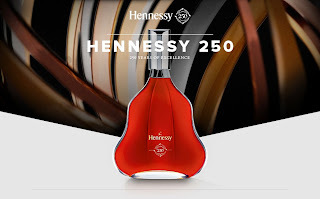 Commemorating our 250th anniversary, the Hennessy 250 Collector’s Blend pays full tribute to two-and-a-half centuries of excellence, international expansion, and visionary passion. This distinctive cognac is the product of an exceptional blending and aging process — exhibiting power on the palate with a nuanced balance, and aromatic tones ranging from bitter orange and freshly grated nutmeg, to licorice, dried peppermint leaf, and spices. Each limited edition bottle arrives in a luxurious gift box. 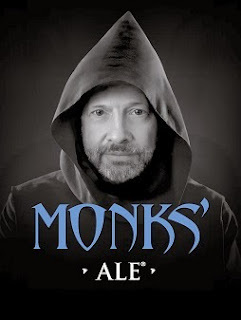 History: Monks’ Ale is an abbey style single ale brought to you by the monks of the Benedictine Monastery of Christ in the Desert. Following the ages old tradition of monastic brewers in Europe, this style is a light variation on a Belgian pale ale because it is made with pilsner hops. In the Medieval Ages, it was made from the third draw of the wort form the mash tun. 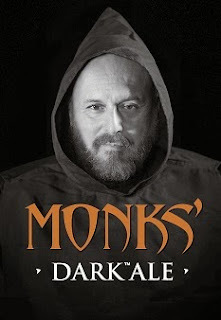 Pairing: Monks’ Ale makes an excellent aperitif or first course accompaniment. It pairs well with lamb, pork, poultry, and seafood. It is a refreshing companion to any cheese or fruit. 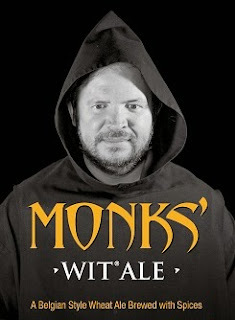 Flavor: Monks’ Wit is distinctly fruity and spicy. The yeast lends a note of spice that accentuates the imported coriander, sweet and bitter orange peel, and other spices. The malt provides a sweet, bready quality up front and a round fruitiness in the middle. The wheat and oats lend a creamy taste. The imported hops and spices lend a clean, dry, finish to this light, refreshing ale. History: Wit beer, white beer, la bière blanche, or simply witte is a barley/wheat, top-fermented ale. The suspended yeast and wheat proteins and starches, which cause the beer to look hazy, or white when cold, gives the beer its name. It is descendant from medieval beers which were brewed not with hops but with “gruit” as a preservative and source of flavor since gruit was a blend of spices and other plants. Today the gruit consists mainly of coriander, sweet and bitter orange, and other spices. Most modern wit ales also use hops. The suspended yeast in the beer causes some continuing fermentation in the bottle. Pairing: Monks’ Wit makes an excellent aperitif or salad accompaniment. It pairs well with seafood, especially clams, mussels, and shellfish. After dinner it pairs especially well with light herbed cheeses or chèvre. Monks’ Dark Ale is a well-balanced medium bodied ale with a smooth creamy mouthfeel, good carbonation, and no alcohol warmth or astringency. 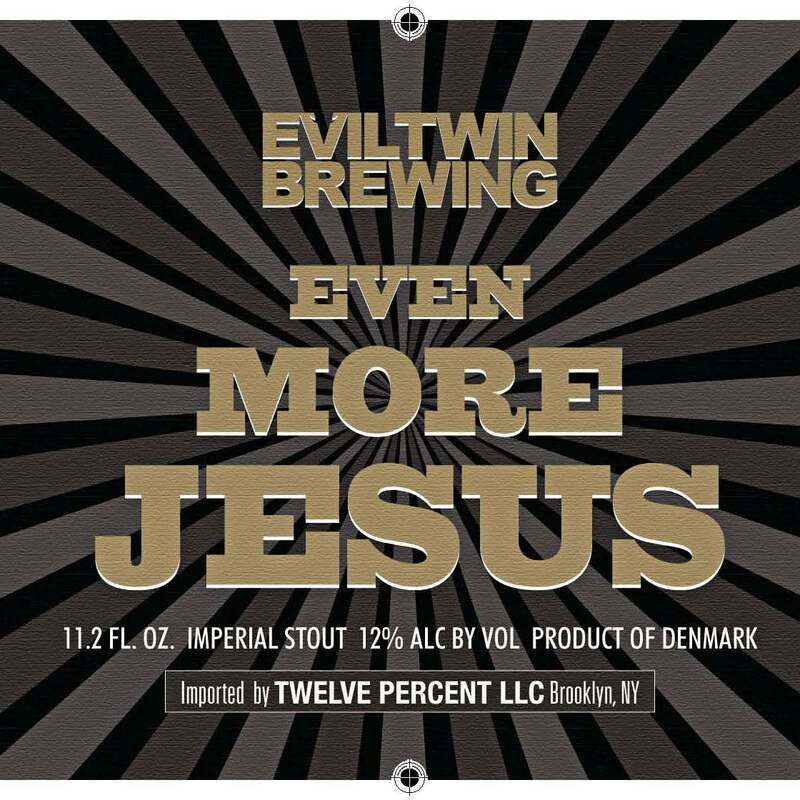 The aromas are predominantly hazelnut and chocolate with hints of raisins and stone fruits with no diacetyl. This ale pours with nice lacing and a lasting tan head. Flavors include toasted hazelnuts, raisins, caramel malt, and mild green apples with no phenols. The subdued, yet present hops create a light, crisp, refreshing, taste. The finish is dry with mild caramel and slight roastiness with mild green apples. The short finish invites another sip of this all-season dark signature ale. 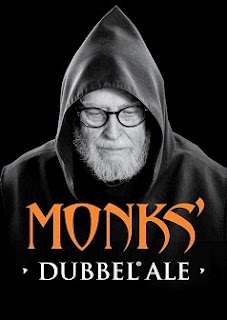 The monk of the Benedictine Abbey of Christ in the Desert in Ablquiu, New Mexico, brew this copper-brown color Belgian style Abbey Dubbel ale year-round. Monks’ Dubbel Ale is distinctly fruit and spicy. This yeast lends notes of dark stone fruit. The hops bring balance and add a light herbal, spicy flavor. The barley malts provide a rich caramel flavor up front and the special Belgian brewing sugar give a round, rum-like fullness in the middle. The finish is clean and dry with light hints of plum and spice. Like all of our Monks’ Ale, our Monks’ Dubbel Ale is part of our family of "real beers from real monks", and is "made with care and prayer". No artificial preservatives are used in the production of Monks’ Dubbel Ale. 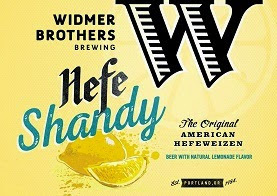 The original American Hefeweizen gets a bold, new, citrusy aroma and flavor from lemon drop hops, and natural lemonade. Rising stars, established giants and never forgotten legends. 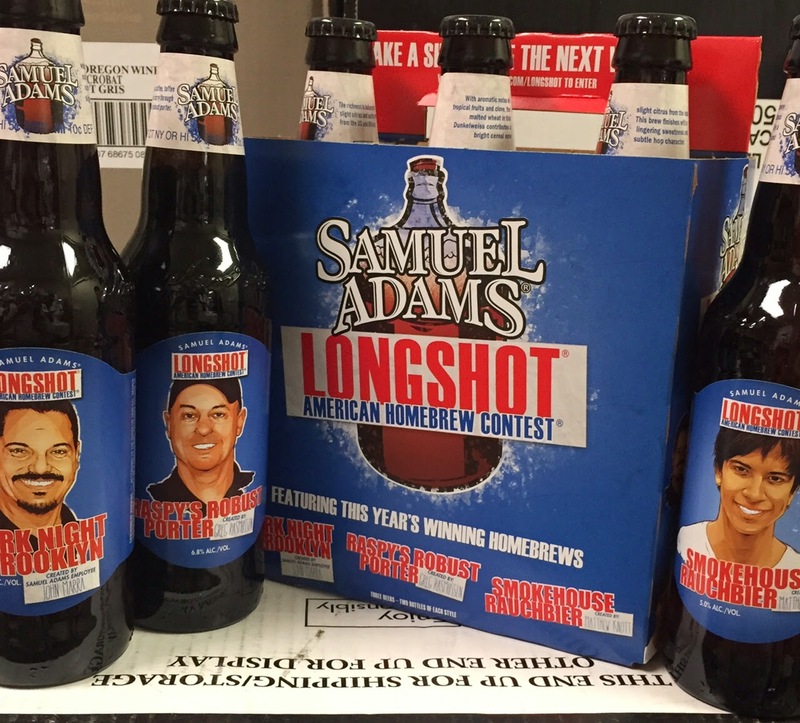 This beer is a homage to great culinary minds with a big appetite for everything taste. Inspired by a legendary dish with strawberries and nicsoise olives - perhaps James Beer at a restaurant in Chicago accompanied by a mind blowing tasting menu. Wherever you are we made it award-winningly good and honorable well balanced just for you. Foray is all about the journey. Belgian yeast delivers hints of apple and pear which blend with the citrus hop aroma for a clean even finish. So no matter where you’re heading, this a trip worth taking. die Königin is an unfiltered oak-aged Kellerbier. 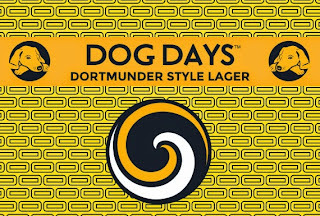 This strong lager pours hazy, bright amber with a white head. Lightly effervescent with assertive biscuit qualities and an adequate Tettanang hop presence, die Königin is matured for several weeks on light toast oak, imparting a creamy mouth feel and a dry finish, accentuating sweet malt qualities. 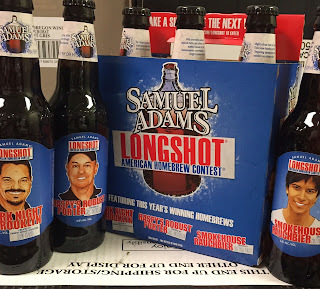 This Stark Lager is produced in small quantities for lager connoisseurs with the most discerning palates. 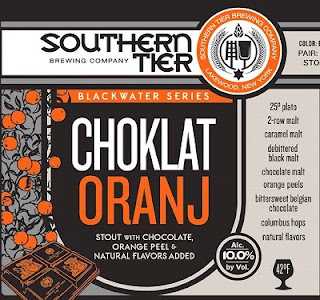 The Blackwater Series first made waves when we introduced Choklat in 2007. Through experimentation and the willingness to venture into the unknown, our quest to brew the perfect stout has continued ever since. Our love for dessert-like beers has led us down interesting paths - from classic fusion of coffee and chocolate in Mokah to the rich vanilla and lactose sugar in Creme Brulee - and now here to Choklat Oranj. The flavors of oranges and chocolate have been a sweet treat fro millenia. It's fitting that these kindred spirits should bee in this way. 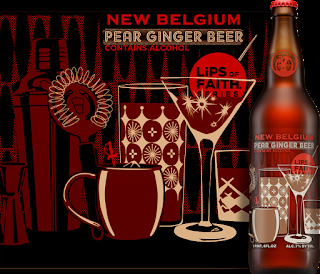 More in stock now, many of you got a preview taste of this at our Beer Fest.
. Our latest Lips of Faith release updates the Victorian-era ginger beer with whimsical additions of pear and lemon peel, creating a zesty, invigorating summer sipper crafted for beer glasses and mixologists’ cocktail shakers alike. 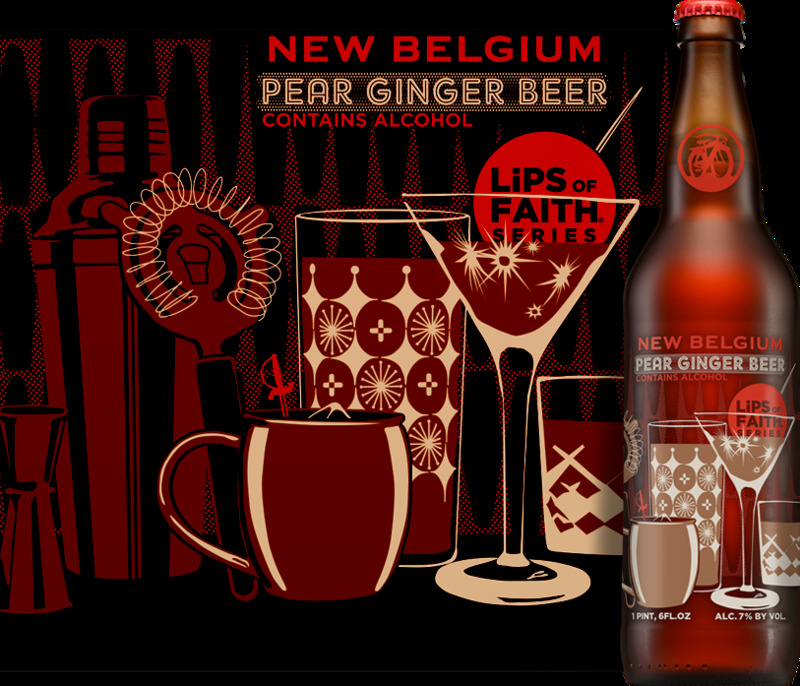 Warming, spicy ginger punctuates a lively wash of sunny lemon, pear and bready white wheat for a sip that starts sweet, but finishes with just the right amount of heat. Drink it straight, no chaser, or put a new spin on a classic gimlet—either way, shake it up this season with Pear Ginger Beer. 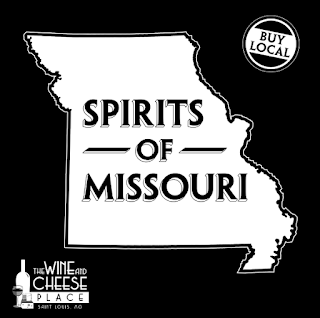 "We are the first legal distillery in Camden County, Missouri at the beautiful Lake of the Ozarks. We are located in Osage Beach on Hwy KK. Our Ozark Moonshine is made with Missouri grown corn, mashed and distilled using traditional methods. We hand craft our moonshine in small batches where no sugar is used in our all grain mash. Ozark Moonshine is distilled in a 4 plate column still to achieve a flavor profile which is smooth and sweet with a light corn flavor and aroma. Ozark Distillery is a small family owned Lake of the Ozarks Distillery using locally grown grains to make our products. 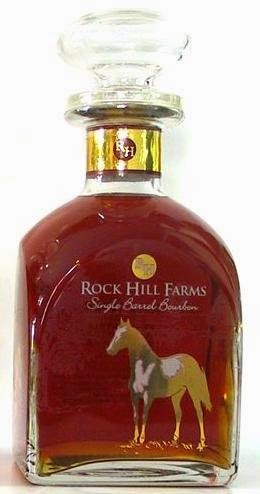 We will be introducing new products soon and our Ozark Bourbon Whiskey will be available beginning 2014." Our Butterscotch Moonshine is made with our distilled corn spirits infused with rich butterscotch candy flavor making this an adult treat over ice, in your coffee, or drizzled over ice cream. Its also great mixed with orange juice! The possibilities are endless. Ozark Distillery Vodka is made from Missouri corn distilled multiple times to create a smooth vodka great for martini's or your favorite mixer. Our Apple Pie is infused with real apples and spices to make a subtle apple flavored Moonshine good over ice or mixed with apple juice or a carbonated beverage. Our Ozark Moonshine is made with Missouri grown corn and mashed and distilled using time honored traditional methods. We hand grind the grain and mash using a 4 hour process. The mash is then placed in a fermentation tank where yeast is added. It ferments for 5 to 7 days where the yeast eats the sugar from the corn to make carbon dioxide, heat and alcohol. We then distill using a large pot with a 4 plate column to achieve the flavor profile we think is representative of an authentic moonshine product which was historically illegally produced all over the Ozark Hills region. Our Vanilla Bean Moonshine is made by infusing our distilled corn spirits with real vanilla beans and a few other secret ingredients to create a smooth flavored Moonshine great for sipping or mixing. Try it in coke for a nice vanilla coke or with rootbeer for a rootbeer float! Rich Blackberry flavor and subtle sweetness is created by infusing real blackberries with our ditilled corn spirits to make a smooth drink best served on the rocks. We think you'll agree, sipping Ozark Distillery Blackberry Moonshine is like a liquid high-five! Made from Old Vines (60 years old) from a great Sancerre family. Domaine Gerard Fiou is the new artisan vineyard from the renowned winemaking family of Henri Bourgeois in Sancerre, France. The Bourgeois and Fiou families have a passion for producing the finest quality wines imaginable, clearly supported by their international reputation as a world-class producer. The Fiou vineyards sit on a hillside overlooking the charming village of Saint-Satur in the heart of the Sancerre appellation. Here the rich soils of the river grace the vineyards with flinty Silex stones to create complex expressive wines noted for their rich fruit flavors, elegance, optimum minerality, and depth of character. 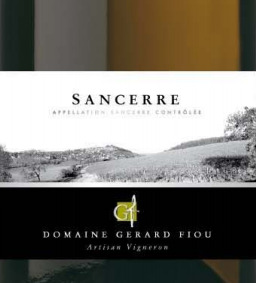 Low yields, hand picking and sorting, organic farming, sustainable production methods, are the magic combination for creating this Sancerre par excellence!